If you've read my blog for a while [or followed my endless ramblings about life on Twitter] you'll know that I worked with Luxemme this year. 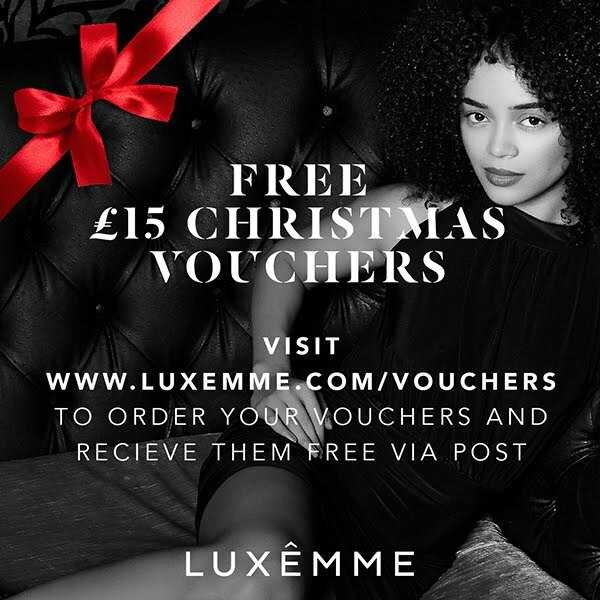 This year, over the festive season, Luxemme gave us a chance to head to their website, enter some details and receive £15 vouchers for free in return, which could be redeemed against the gorgeous clothing on their site or given away as Christmas gifts to friends and family. 'Last year we worked with various charities and sent them all free clothing to give to people who were homeless, orphaned or simply didn’t have any family over Christmas. This Christmas we want to spread a little festive joy and help hundreds of people to send extra Christmas gifts to their friends and family. I thought that giving away these vouchers for free was a really lovely, considerate and generous offer - and obv, due to how much I love their stock, I headed straight over to the site to get my hands on some. You can no longer get these vouchers on Luxemme's website - but fear not, I'm going to give mine away :} The voucher codes don't expire until the 29/02/15 - so if you want to make your Christmas money go that little bit further, order a dress to see in the New Year or even get yourself something a bit nice for Valentines Day [yep, i said it - we're going to have to acknowledge it's on its way at some point] you can.